Tips for Preventing Running Injuries. Over the counter or custom orthotics can help to prevent excessive foot motion and reduce the frequency of injuries. Dynamic stretching can be performed any time but static stretching is most effective after exercise. If an injury occurs, treat it with the RICE (Rest, Ice, Compression, Elevation) principle. Running shoes might “look” good at 2-300 miles but they probably are not giving the support that your feet / legs need during your running workouts. Seek the advice of an orthopaedic physical therapist for suggestions of proper exercises that will help you prevent a running injury. 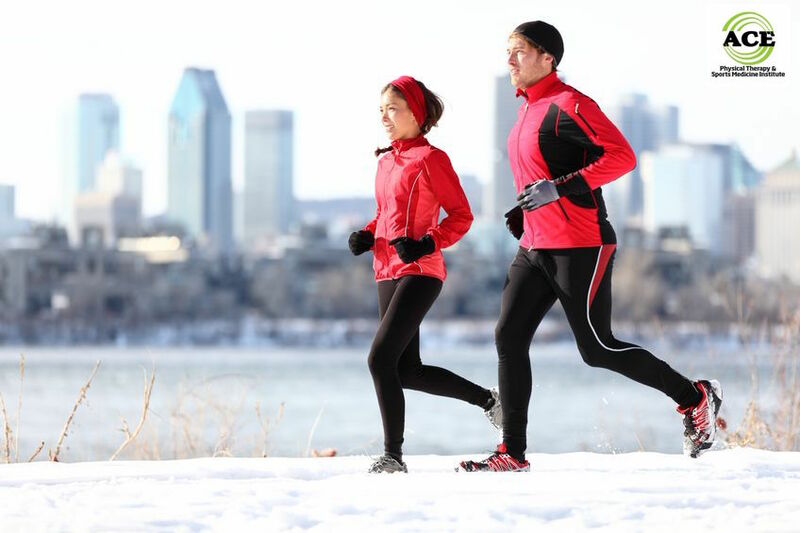 Running is convenient, a great way to relax and a popular form of cardiovascular exercise. Running injuries can slow down and even stop a runner. The repetitive nature of the sport can lead to a range of injuries in the lower extremities. A tender foot, an aching knee, a tight hamstring, and other injuries can take the joy out of running and even sideline the runner. By following the simple precautions below, many running injuries can be prevented. Daily running subjects the body to repetitive actions that subject the joints and soft tissues of the lower extremities to forces, both compressive and sheer. Over time, this can cause damage. Cross training incorporates other cardiovascular exercises into the daily routine, reducing the repetitive forces placed on the joints and soft tissue during the running cycle. Impact forces alone during running can cause significant damage over time therefore performing exercises that are not impact oriented will reduces the compressive forces within the joints of the lower extremity. To raise the heart rate and successfully train the cardiovascular system is better accomplished by cross training because the lower extremities are less likely to be injured. Finding the right shoe is important and can be confusing at times. Many shoes are advertised as the “best” shoe for a particular type of runner. There has been a tremendous amount research and money spent on trying to determine the type of shoe that should be worn when someone runs on a regular basis. All sorts of features of promoted such as motion control, stabilizing, neutral, cushioning and minimalist to name a few. Flat Foot – People with flat feet usually do better with a stabilizing or motion control shoe. They can also buy a neutral shoe and place an orthotic in the place of the shoes’ insole and this will help to support the medial arch. High Arch – Runners that have a very high arch will benefit from a cushioning shoe. The dampening effect on impact usually protects this type of foot and lower extremity from stress fractures and other impact related injuries. Mileage – Regardless of the type of running shoe that someone chooses to use there is mileage limit of 2–300 hundred miles. The shoe’s ability to support the foot beyond this mileage is usually hindered significantly. Proper strength training and stretching can help prevent many lower extremity injuries that occur due to the repetitive nature of running. The forces that the joints encounter while someone runs are up to 7x their body weight. If the muscle structure is not strong enough to offer dynamic support to the lower limb, injuries will occur. The repetitive nature of running is a catabolic (breaks tissue down) to soft tissue and at times the bones. Strength training will enhance the muscle’s capability to prevent injuries by offering support to the various structures of the lower limb. A good strength program should include extensive core and hip musculature strengthening. Researchers debate about the value of stretching prior to exercise to prevent running injuries. Most studies indicate that static stretching does not decrease running injuries. Dynamic stretching is the most effective pre-exercise stretching and should be performed to help increase the blood flow, tissue temperature, and pliability of the soft tissue in hopes of “warming up” the muscles and joints to prevent an injury. What is dynamic stretching? Runners move the involved body parts through motions that resemble the activity that they are participating in for a workout. There have been many studies recently on the benefits of mid to forefoot landing compared to heel landing. Studies have shown that mid to forefoot strikers are less prone to lower extremity injuries. When the impact force curves are observed graphically, the heel striker experiences the maximum impact force upon heel contact. The mid to forefoot striker experiences a similar amount of impact force but its peak occurs several milliseconds after impact. The theory behind a reduced frequency of lower extremity injuries can be related to the delay in the peak maximum impact force thought to correlate to an increase in distal lower extremity muscle action upon mid to forefoot striking. The invention of the “glove or finger” type shoe or a minimalist shoe and barefoot running was to promote mid to forefoot striking. Unfortunately too many runners thought that these shoes were the “magic” against lower extremity injuries and they tried to train and run similar distances that they ran when they wore a “running shoe.” This has proven to be disastrous in many cases because the transition to mid and forefoot striking should be a process that helps the runner transition from heel striking to the new landing technique over a very long (6-9 months or longer) time period. Runners that transition too quickly often times suffer painful lower extremity injuries that forces them to stop running for a period of time. Physical therapy can help a runner develop good training habits. Orthopaedic physical therapists can help a runner devise a work out routine that will help to develop strength, endurance, flexibility and hopefully stave off injuries. If a runner is participating in all of the above workout activities, the “down” time should be minimalized should an injury occur. Any runner that is experiencing pain in their lower extremities should seek the advice of a physical therapist to avoid a major injury and set back in their training regimen.